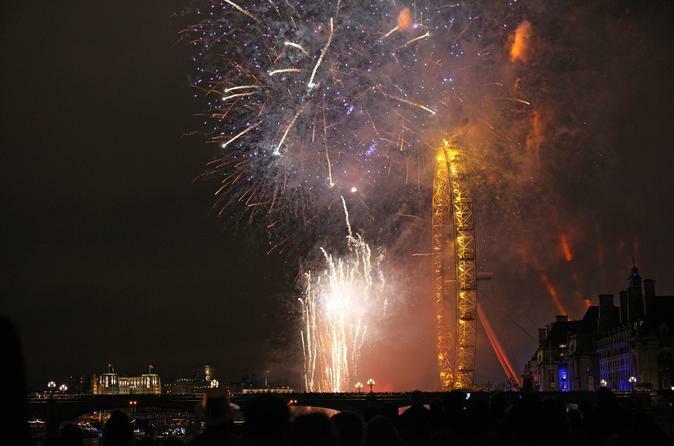 Toast the New Year in style as you watch the spectacular London fireworks from the water. Set sail for an unforgettable 3-hour cruise through the heart of London and admire the iconic city skyline glittering with festive illuminations. Tuck into delicious canapés, enjoy live music and DJs, and take to the dance floor as you glide down the River Thames. Finally, raise a glass of champagne as you countdown to midnight and marvel at the dazzling fireworks raining down over Big Ben and the London Eye. Sip champagne as you welcome in the New Year!